Season 2 of Marvel's "Daredevil" is already upon us next week, and with the budget of a television show the partnership with Netflix has already surpassed the cinematic cousins of the MCU with regard to engaging villains. The nuanced, wounded, regressive man-boy with a criminally genius brain that is Wilson "Kingpin" Fisk was a revelation for Marvel movie fans who could never quite put their finger on what was missing. It wasn't that Ultron wasn't powerful enough, or that Whiplash and the Mandarin weren't threatening enough. They just never got the amount of screen time and writer's care to flesh them out into three-dimensional characters. Now, Season 2 promises the rise of Frank Castle, the Punisher. His pathological need to exterminate all criminal activity by cartoonish lethal means is in direct opposition to the efforts of Matt Murdock to bring crooks in alive for the purpose of due process in court. And the casting of Jon Bernthal is utterly exquisite. 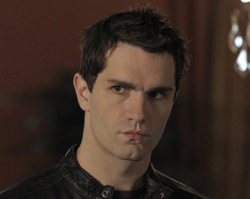 His unhinged turn on "The Walking Dead" as Shane is perfect for Castle's flawed moral compass. And if this season proves a hit, we very well might get a spinoff show for the Punisher. If that's the case, who shall be the physical match for Daredevil in Season 3? Bullseye is the character's physical nemesis in the same way Kingpin is his mental adversary. While the character's backstory is shrouded in fabrications, falsehoods, and multiple interpretations, his deadly accuracy with ranged weapons and everyday objects and his psychotic egotism have always been present. So who could pull on a suit and go a few rounds with the Devil of Hell's Kitchen? 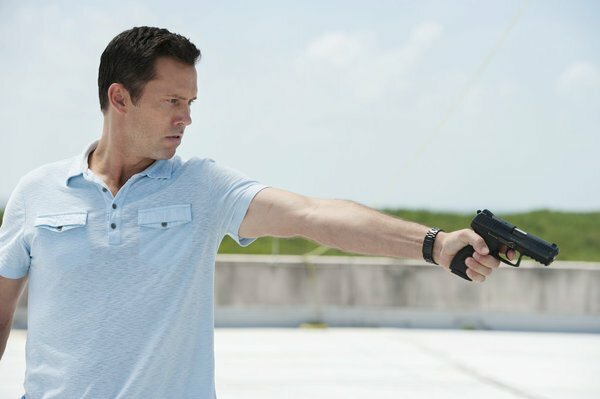 After seven seasons playing an A-Team style spy for hire on "Burn Notice," Donovan has become proficient in fight choreography, handling military-grade weapons, and even a handful of serviceable accents and languages. The real acting challenges he faced on the show, however, were the bouts of cold-blooded revenge and vindictive violence that he committed while still maintaining a charismatic hero persona. Even when Michael Westen went fully feral and lost his humanity, he had a certain detached charm buried under the scary empty eyes. 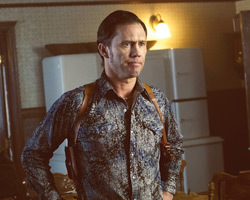 As Bullseye, Donovan could blend in to his surroundings and play a truly elusive contract killer with a flair for accuracy. When Daredevil ruins a meticulous job for him, that's where his obsessive antagonizing and crazed bloodlust would come out and he would start to unravel. And beyond that, Donovan would be an impressive physical match for Charlie Cox as Murdock. 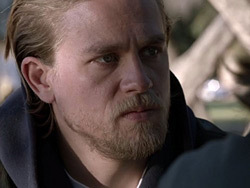 Hunnam is actually a really good actor, but his career has put a lot of obstacles in front of his talent. For instance, Hunnam should never be hired to pull off an American accent. It just doesn't work, and much like previous Bullseye actor Colin Farrell he loses much of his concentration on the role to maintaining that dubious California patois that many UK actors default to. 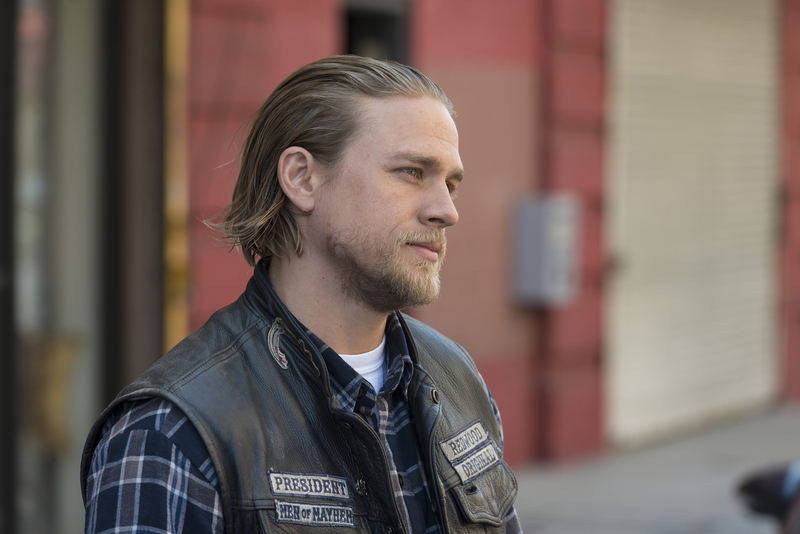 Hunnam also needs a character with a sense of humor, and an outspoken demeanor. He's either too good at pulling off stoicism that no emotion comes across at all, or he's just blank-faced and bored. The line is blurred. With all that in mind, his supposed breakout role in Pacific Rim--as a stoic, largely humorless American--didn't work out well. While it did give him the necessary resume for the intense fights that "Daredevil" demands, the character was not a fit. The antidote is for him to play a villain. As Jax Teller, the Shakespearian heir to an outlaw motorcycle gang on "Sons of Anarchy," Hunnam was at his best when his character's morals had been completely compromised and he relished punishing his enemies. It made his victories feel palpable and significant. The next step is to remove the shackles of morality completely. As Bullseye, Hunnam could spend the first half of the season struggling to stay in the game of cat and mouse, and upon winning a decisive blow against the hero (perhaps a certain Greek beauty's demise) it would be so much fun to watch him gloat. If, of course, Marvel Studios and Netflix would like to continue the HBO levels of violence and unflinching realism of a man who fights and gets beaten up every night, they may want Bullseye to be the untethered psycho who is uncouth by even Kingpin's standards. If that's the case, and the extremely accurate killer is destined to be a completely scary freak, look no further than Tuco Salamanca himself. 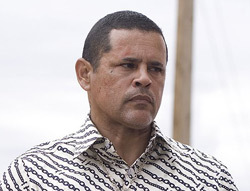 As the meth-snorting Mexican gangster Tuco on "Breaking Bad" and "Better Call Saul," Raymond Cruz practically howls like a werewolf. His character is disconnected from reality and high on his own reputation as a Scarface-style drug mogul (among other things). He's terrifying, even when he's being funny and clowning around he projects a volatile combustibility. 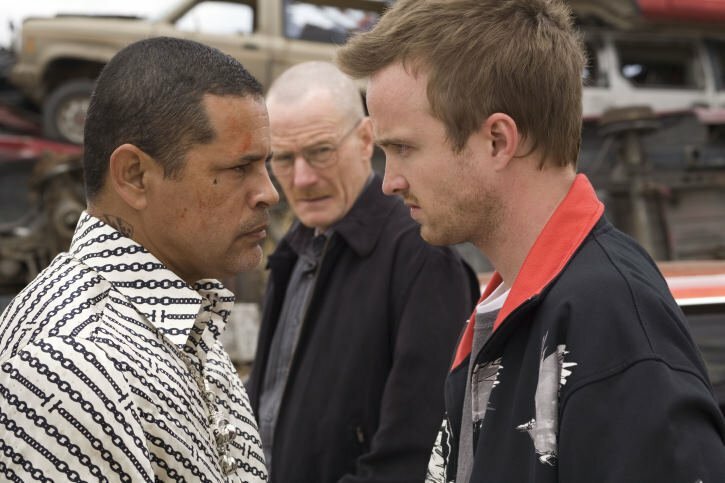 But more than that, Cruz never portrayed Tuco as being stupid; the character could be careless, or oblivious, but he stomps through his opposition by thinking on his feet. He just happens to be a hopeless degenerate. As Bullseye, Cruz would likely be an unstoppable force likened to Anton Chigurh from No Country For Old Men. If, say, someone like Fisk were to put a hit out on Daredevil or his friends, Bullseye would be the button that could not be un-pressed. If successful in killing someone close to Matt, he could even test our hero's resolve to cross the line and kill a bad guy like Frank Castle does. This is a strange idea, but it plays off of the successes of the Kingpin depiction as well as Kilgrave from "Jessica Jones." 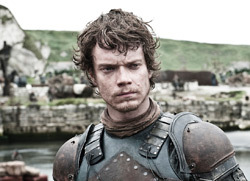 Alfie Allen, as Theon Greyjoy on "Game of Thrones," is an unrepentant weasel. He's an oily, petulant child who uses his admittedly rough childhood traumas as justification for his adulthood atrocities. This is exactly how Kingpin and Kilgrave are depicted, as if Marvel/Netflix is adamantly stating that monsters are made and not born. 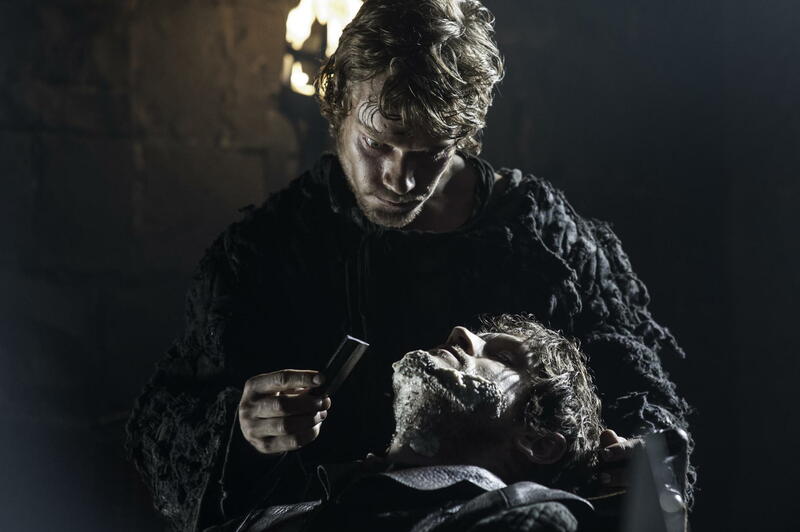 Allen has shown an intense amount of range as Theon (as he must, given the thread of that character), and on top of that has received the requisite fight training for "Game of Thrones" and John Wick, where he plays the worst person on the face of the earth. His Bullseye would be a wiry creep to be sure, which is in keeping with the comic character a little more. What's even better, his version would be the type of escalated anarchist villainy that Matt Murdock has inadvertently created with his masked antics. In a sense, an evil doppelganger for our hero, more like Daredevil's Joker than Wilson Fisk's Ra's al Ghul routine. I think I have a winner in my mind. 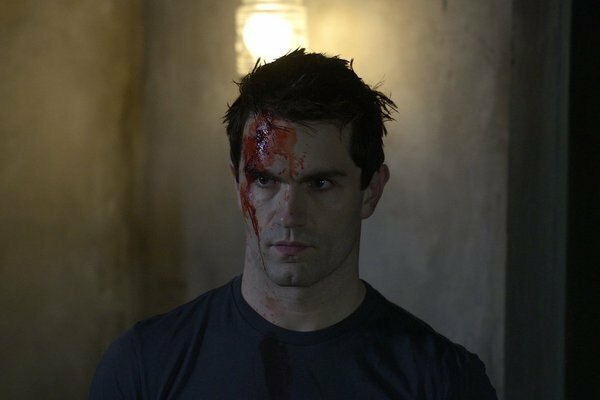 Combining the need for a physical foe for Daredevil with the psychologically scary aspect of the character and even including a dose of petulant child, Witwer is the ideal balance between something new and something familiar for the streaming series. 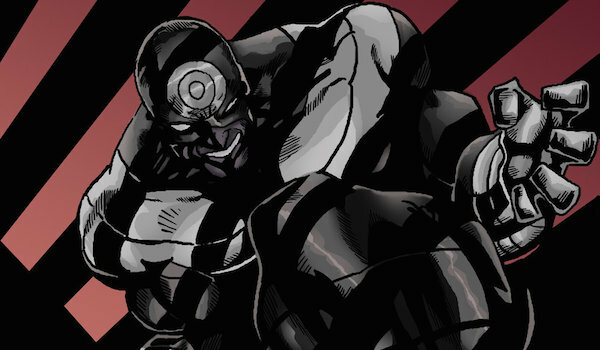 In previous roles of genre television on "Battlestar Galactica" and "Dexter," he showed the crazy, unhinged killer and the petty, huffy sense of superiority that define Bullseye's beef with Daredevil. He has a wiry-yet-toned physicality, a sort of alien luminousness, and a face that can be at once the coiled spring of Henry Rollins and the soft puppy face of Taylor Lautner. And what's more...he can fight. As the lead character of the Star Wars: The Force Unleashed series, he was exposed to the extensive fight choreography involved in becoming a lightsaber fighter. I would be excited to watch him and Cox in one of those splendidly long unbroken takes beating the crap out of each other in an alley.